Membership ​is open to owners of all makes and models of cars and trucks. Annual club dues are only $25.00 which includes you and your immediate family. They are due January 1st of each year. Dues for new members joining after July 1st are $15.00 for the remainder of the current year. For more information, or if you have any questions please email the membership chairperson. here. 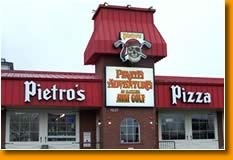 We meet the first Tuesday of every month at Pietro's Pizza, 1637 Hawthorne Ave NE, in Salem at 7pm. Come early for pizza and comraderie. Stay late for cookies and conversation. Come check us out and see what we're all about..
m​embers are invited to attend.. Please check for location.